Who is the REAL Prince of Pop? Oooh seems like the Biebs is a bit jealous of the “Lost in Japan” singer. Is this a battle of the Canadian popstars? First Hailey Baldwin, now music? The two Canadians rose to fame through social media, Justin on Youtube and Mendes on the now retired 6-second video app, Vine. 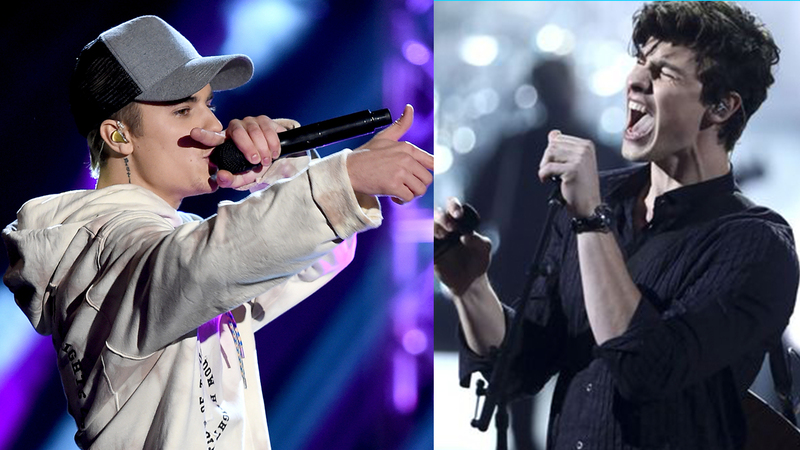 Both from Southern Ontario, one would think that Bieber would have heard of Mendes and his hit #1 on Billboard. Back in the fall of 2015, Justin was interviewed by 95.5 PLJ and when asked about the fellow Canadian, he asked, “Who’s Shawn Mendes?” After the interviewer explained Mendes’ success with ‘Stitches,’ Bieber stated he would “check him out.” However, it seemed as if the “Mark my Words” singer was just throwing shade, pretending not to know of Mendes’ success. However, Mendes wasn’t fazed. “I’m definitely a fan of him. I looked up to him for awhile, but I guess he just doesn’t know who I am. We’ll have to let him know.” Way to take the high road, Shawn. Not long after, Bieber followed up on instagram when he posted a screenshot of ‘Stitches’ with the caption: “Shawn I checked out the music and I’m so proud! So glad to see another boy from Canada crushin it. #canadiansdoitbetter” Alright, thanks for trying, Biebs. In 2016, the “In my Blood” singer was asked “Can you sing 10 seconds of sorry – Justin Bieber?” during an interview in Sweden. Mendes answered, “Um, I never, never heard that song… sorry,” ending with a slight smirk. “Revenge is sweet” and “yo ma boy is a savage” flooded the comments section of the video. So is there really beef between the two popstars or do you think it’s all just fun and games? And who is the real “Prince of Pop?” Let us know in the comments section down below.